Below is the WonderBang fam list that Zoe has come up with. Sad to say, this list is only going to be based on Zoe’s family list (with ☆) and I’m adding in other members (without ☆) as well, but only those who have been constantly posting at the WonderBang thread but failed to make it to the list. For those whose name I’ve missed out but you were definitely part of the WonderBang Thread @ Soompi, just leave a comment, stating your preferred ID and name (optional) and which mainship is you belong to. If you have any Soompi/YouTube/Crunchyroll/WB Forum account, please include that as well and the link to your page so that I can reach you on some matters. Thank you! ** Please check first before implying that you’re part of the thread. This only includes active members in the WB thread. Dearest Fam Bam, please give me the links to Soompi, WB Forum or any other means by which we can keep in touch with you. Thank you. Special Info: She’s the ONE who started the WonderBang Love alive & kicking. She’s the ONE who created the legendary WonderBang thread @ Soompi. i think for vanas, you should include special info, that she was the one who first started off the wonderbang love by making the thread in soompi. sorry, another post..but i couldnt think of where else i could post this..
but please loves. put this up. our wonderbang home is back!!! and a big thanks to Skeptrix for re-opening it. 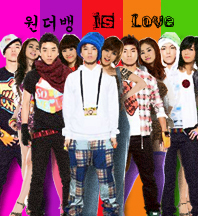 Its been a long time since ive been into the wonderbang thread @ soompi…great to see WB still live on! Unni, can you change my account details?